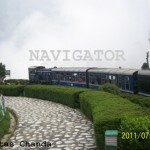 Darjeeling Himalayan Railway (DHR): Though popularly known as ‘Toy Train’ for its shape and size. It is the second railway to be awarded the status of world heritage by UNESCO after Semmering Railway in Austria. DHR has a great potential to lure tourists from all over the world. 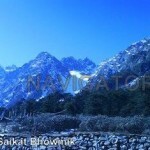 At present it has regular services from NJP to Darjeeling….. 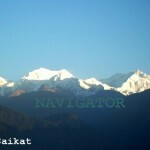 The 7 hours journey is really enjoyable through ups and downs of Himalaya, the lush tea gardens and forests. 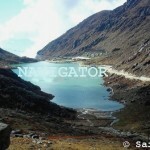 Buddhist circuit: Buddhism is an very important religion in this region, specially is Sikkim. One can see various prayer-flags fluttering and many monasteries scared all over the region. 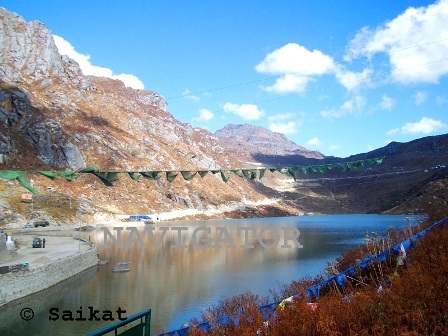 Sikkim alone has more than 200 monasteries mostly located in the beautiful natural surroundings. 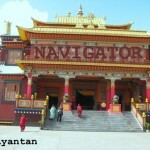 Rumtek Monastery in Gangtok is the Buddhist’s HQ of India. Enchey Monastery, Phodong Monastery, Pamayangtse Monastery, Tashiding Monastery etc are the important monasteries of this region. Tea tours: Tea is one of the important attractions in this region as it is the home to many renound tea gardens producing premium quality tea. Tourists can enjoy the fascinating view of lush green tea garden on the lap of the hills or can enjoy the process of tea production and take part in tea leaves plucking activities. Makaibari Tea Estate, Castleton Tea Estate, Thurbo Tea Estate, Happy Valley Tea Estate, Temi Tea Garden are some of the important Gardens. Pujas- the uniqueness of Bengali culture: There is a saying in Bengali “baro mase tero parbon”- means 13 festivals in 12 months. Durga Puja, Swaraswati Puja, Laxmi Pyja, Kali Puja are some examples. The Pandols (mostly bamboo and cloth structure) are the proofs of creativity of the Bengalis. Sweets- the uniqueness of Bengali food: The Bengali sweets are popular all over India. Rasagolla, sandesh, misthi doi, gulab jamun are just a few of these classic sweets. In every occation sweets are almost compulsory it is also a prime attraction to the tourists. For road travel to Bhutan Siliguri is the base. 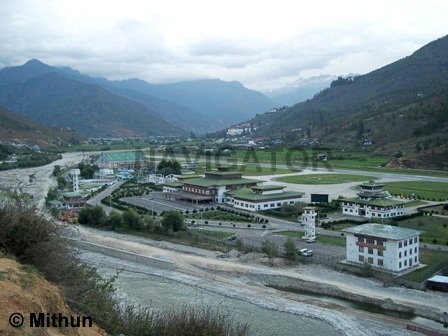 Phuentsholling the entry point to Bhutan is 165 km away from Siliguri. 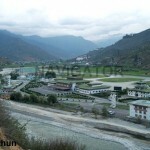 Thimpu, Paro, Punakha etc are the main Attractions of Bhutan. 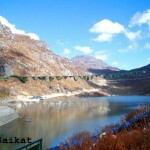 A ten days itinerary to Bhutan will be a good experience to a tourist. 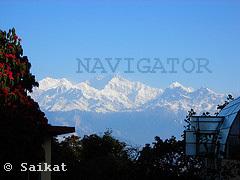 Panitanki the entry point to Nepal is only 35 km away from Siliguri. 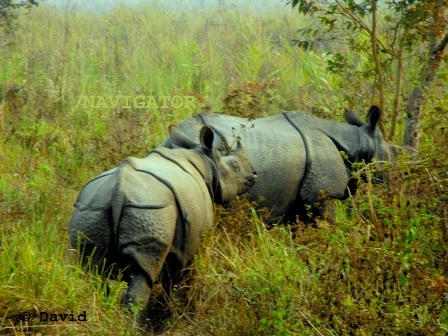 Kathmandu, Pokhra, Biratnagar, Royal Chittyan National Park are the main attraction of Nepal. A ten days can cover entire Nepal. Request a call/mail back to design your tour.